Formed in 1881, The Sherwood Foresters was an infantry regiment of the British Army. After nearly 90 years of service, it merged with The Worcestershire Regiment in 1970. Its traditions are now continued by the Mercian Regiment. The Sherwood Foresters was formed in 1881 during the Childers Reforms of the British Army. 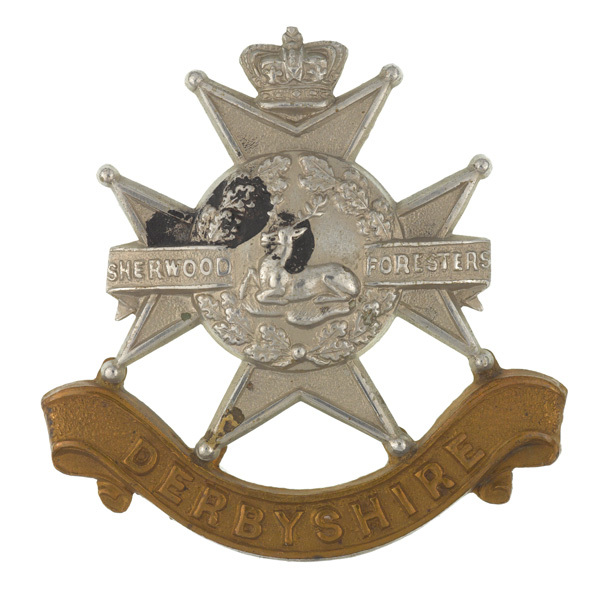 The rifle volunteer and militia units of Nottinghamshire and Derbyshire were merged with two regular regiments, the 45th (Nottinghamshire) (Sherwood Foresters) Regiment of Foot and the 95th (Derbyshire) Regiment of Foot. The regular regiments became the new unit's 1st and 2nd Battalions. Immediately after formation, 2nd Battalion was deployed to Egypt for the 1882 conflict there. 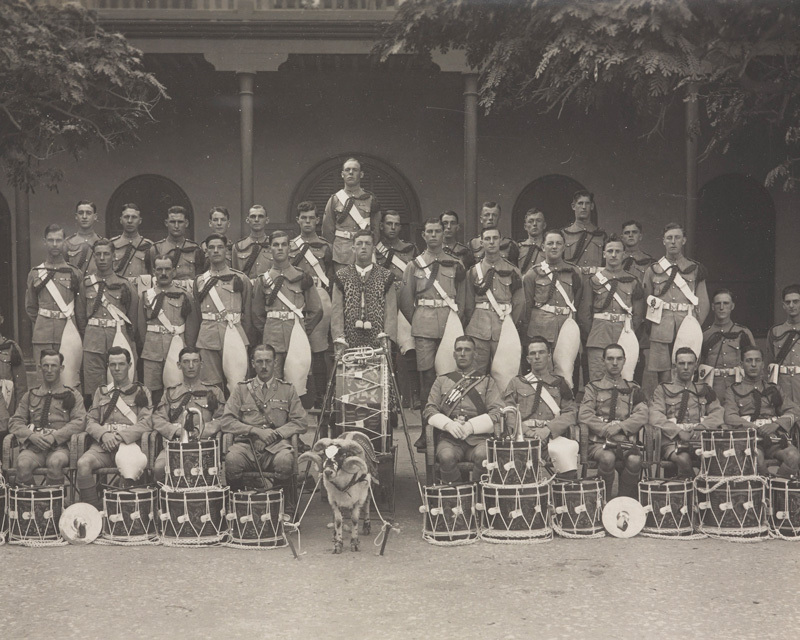 It then went to the North West Frontier, where it took part in the Tirah Expedition and won its first Victoria Cross on the Heights of Dargai. In contrast, 1st Battalion was put on garrison duty in Ireland for the first 12 years of its life, before being sent to the Boer War in 1899. 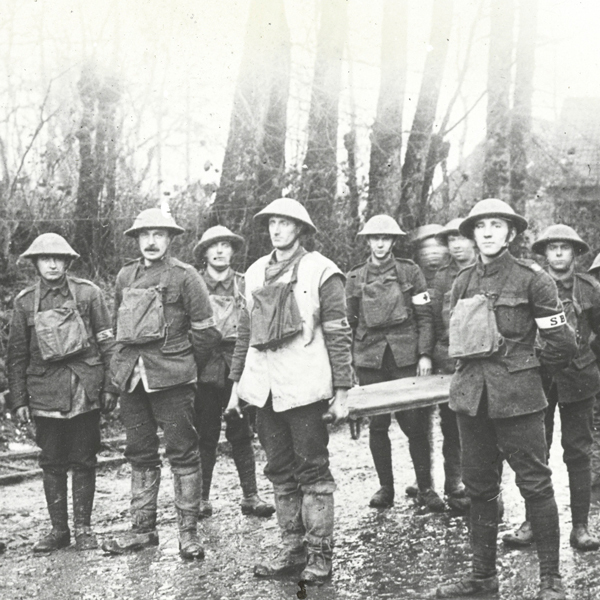 Both battalions redeployed back to England on the outbreak of the First World War (1914-18). During the conflict, the regiment raised 13 battalions for home service and 20 for foreign service. These fought in Gallipoli and Italy as well as on the Western Front, gaining 57 battle honours. Used during the interwar period as occupation and garrison troops, both battalions were back in action in Norway, France and North Africa in the early years of the Second World War (1939-45). 1st Battalion was captured at Tobruk in June 1942 and 16th Battalion was renamed to replace it. This served at home and in Germany. 2nd Battalion moved to Italy after its North African service. The regiment also raised 10 Territorial and hostilities-only battalions, these went on to serve at home, in France, North Africa, Italy, and Singapore and Malaya. Members of the 1/5th Battalion were captured at Singapore in 1942 and forced by the Japanese to labour on the notorious Thai-Burma 'death' railway. Reduced to a single battalion in 1948, the regiment returned to occupation duties in Germany after the war, but also served in Malaya in 1958 and in Cyprus in 1960. In 1970, the regiment was amalgamated with The Worcestershire Regiment to form The Worcestershire and Sherwood Foresters Regiment (29th/45th Foot). Its traditions are now continued by 2nd Battalion The Mercian Regiment (Worcesters and Foresters). Explore the history and collections of the Sherwood Foresters by visiting the Museum of the Mercian Regiment at Nottingham Castle, and Derby Museum and Art Gallery. This infantry regiment was formed in 1823. It continued in British Army service until the 1881 reforms, when it was merged into The Sherwood Foresters. This infantry regiment was formed in 1741. It continued in British Army service until the 1881 reforms, when it was merged into The Sherwood Foresters. This unit was formed in 1970 and recruited in Derbyshire, Nottinghamshire and Worcestershire. It existed until 2007, when it became part of The Mercian Regiment. This infantry unit was raised in 1694. It served in many British Army campaigns until the reforms of 1881, when it was merged into The Worcestershire Regiment. This infantry unit was raised in 1701. It continued in British Army service until the 1881 reforms, when it was merged into The Worcestershire Regiment.